Students from Allen High School gather outside Eagles Stadium for the C3 Auto program ad. We have been helping out the Allen Football Touchdown club (boosters) this year with some of the Allen Football ads for the program for this upcoming season of Football. For those of you that don’t know, Allen has one of the best High School Football programs in the country. They just won their 5th straight state title and last year were named National Champions, currently ranked in the top ten teams in the country for this year. We have had the pleasure to work with the team on a few ads as well as some of our Sports Fashion Portraits of some of this year’s seniors. We will also be photographing the senior poster later this month. Today’s ad was for C3 Auto located on Premier Drive in Plano. They are a used car dealership focusing on high quality used cars at affordable prices. 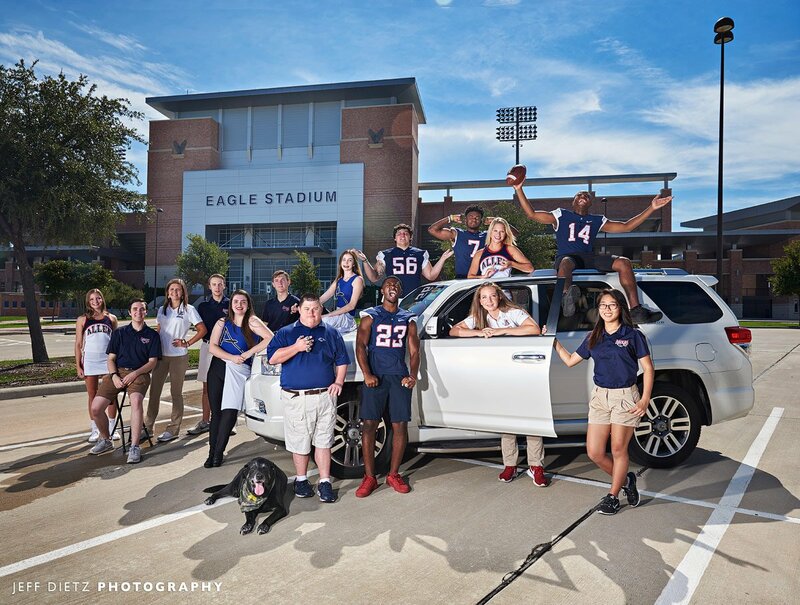 Customers, Cars, Community is their slogan, and their continued involvement with the Allen Football team showcases that. 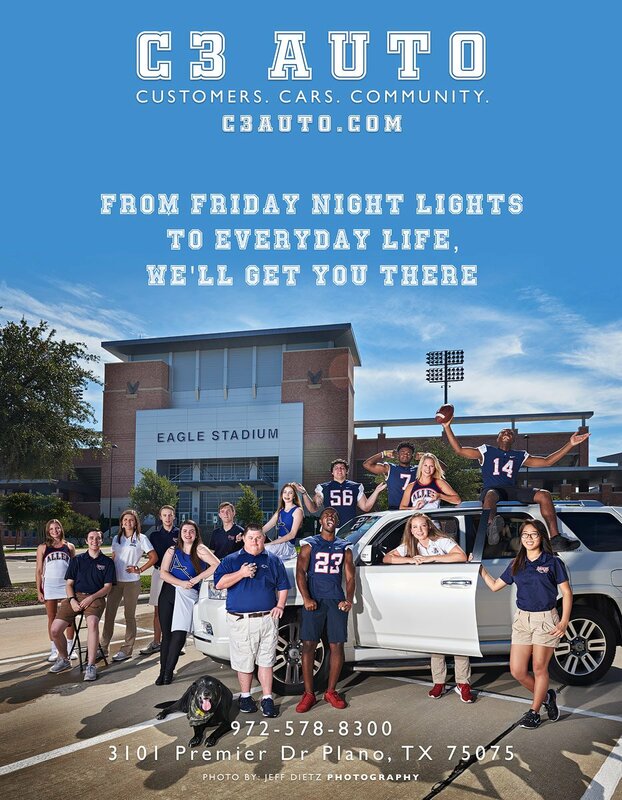 As you can see, the ad not only features several of the football seniors, like starting players Nick Trice (center), Mo Perkins (corner back), and Grant Tisdale (quarterback), we also feature members of the Allen Eagle Escadrille marching band, cheerleaders, sports medicine, trainers, and of course Repo the Lab from C3 auto. Thank you to the Allen Football Touchdown club for having us be a part and C3 Auto for helping out their community.